The presence research community has been working to identify causes, characteristics and consequences of diverse presence experiences. The consequences identified so far – including arousal/relaxation, empathy, enjoyment, persuasion and more – make clear the importance and power of presence to improve communication across a wide variety of contexts and applications of interest to communication (and many other) scholars and those who create media technologies and content. The research demonstrates that presence can facilitate optimal and effective communication in contexts including health, politics, computer-mediated communication (CMC), gaming, media effects on children, mobile media, and on and on. Presence as a concept and set of phenomena is related to the work being done in every division at ICA. The nearly 3000 posts in ISPR Presence News and thousands more on its predecessor, the presence-l listserv (created for the ICA Information Systems division), along with the 2,300+ entries in the Presence Bibliography on the ISPR website, illustrate the breadth of presence applications, and the breadth, depth and value of presence scholarship. The primary objective of the preconference will be to introduce communication scholars and practitioners to the centrality, pervasiveness, value, and power of presence phenomena, theory and research within and beyond the diverse field of communication. A secondary goal will be to deepen and update knowledge of those already familiar with presence. The overarching goal is to help integrate and increase collaborative, scholarship on presence. 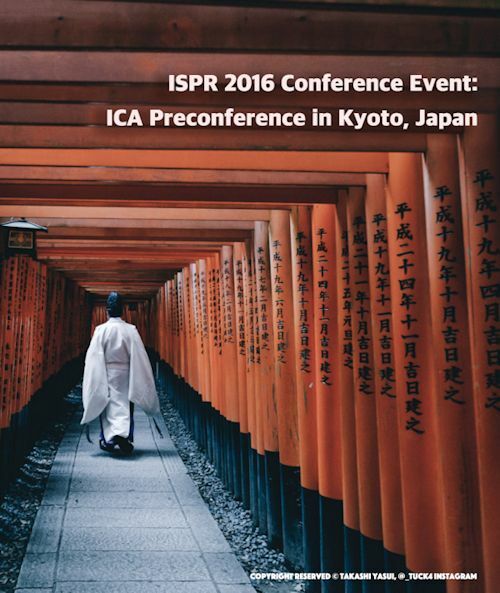 All accepted submissions will be collected in the official conference proceedings (with ISBN) and will be permanently available for download in the ISPR conference archive. We invite researchers and practitioners to submit an EXTENDED ABSTRACT for their work in the categories below (full versions also welcome). All submissions are to be in APA format and except for the separate title page not identify the author(s) directly or indirectly (for blind peer review). Extended abstracts should not be longer than 12 pages excluding references, figures and appendices. PAPERS: Comprehensive descriptions of research or design work and/or theoretical investigation within the scope of the conference; up to 30 pages in APA format. Papers must relate to existing literature on presence and make an original contribution to it. Accepted papers will be included in the Proceedings and will be allocated time for oral presentation. You may submit a completed paper rather than an extended abstract if you wish. SHORT PAPERS: Short papers may be up to 12 pages in APA format. Accepted papers will be included in the Proceedings and will be allocated time for oral presentation. You may submit a completed short paper rather than an extended abstract if you wish. POSTERS: Visual display presentations. Poster proposals must describe and/or contain early drafts of the visual display. Accepted poster abstracts will be published in the conference Proceedings. Posters will be displayed on a board during a dedicated session of the conference. Each poster will be allocated a 2 minute oral preview. DEMONSTRATIONS/EXHIBITIONS: Step-by-step audiovisual demonstrations and/or hands-on experiences of non-commercial work within the scope of the conference. Accepted demonstration/exhibition proposals will be included in the conference Proceedings and will be presented during a dedicated session of the conference. For the exhibitions of commercial products, please contact us for sponsorship terms and opportunities. Submissions are to be sent as two e-mail attachments in Word (.docx) format: 1) the title page containing all author names, affiliations and contact information; and 2) a completely anonymized version of the entire paper. Send the files to Matthew Lombard at lombard@temple.edu. Registration will be accomplished through the main ICA website, http://www.icahdq.org/conf/. Attendees will arrange their own transportation to and from the main ICA conference site in Fukuoka but we’ll provide detailed information about the travel options. By air: Kansai Airport serves many domestic and international cities with direct flights. The JR Airport express train HARUKA takes about 75 minutes to Kyoto Railway Station. Or a bus from Kansai airport to Kyoto runs from 6:05 am to 11:30 pm and takes approximately 2 hours (details here and here). By train: Kyoto Railway Station serves routes from many Japanese cities including Tokyo. Flights from Kansai Airport to Fukuoka Airport are just over an hour. An hourly Shinkansen Nozomi line train from Kyoto to Fukuoka (Hakata station) takes 2hrs and 45 min. and costs 15,000 yen ($120). The Shinkansen train from Osaka takes 3 hours or so from Shin-Osaka station to Hakata station and costs 9,610 yen ($80). Details are available from HyperDia. An overnight bus from Kyoto station to Hakata Station costs from 7,000 to 8,700 yen depending on the seasons and takes about 10 hours. Details are here. Hotel Nikko Princess Kyoto. It is only a 4-minute walk from the preconference site and this hotel receives good comments. Mitsui Garden Hotel Kyoto Shijo. It is about a 7-minute walk from the preconference site. There are many other clean and cozy hotels nearby. 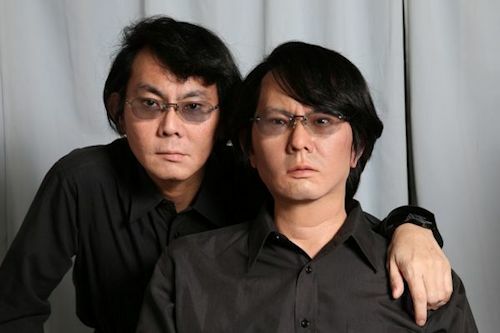 Weird hotel run by robots who handle guest relations, transport luggage and clean rooms. This hotel is in “Huis ten bosch” of Nagasaki, a theme park replicating a Dutch town. Not conveniently located to preconference but an option. The International Society for Presence Research (ISPR) is a non-profit membership organization founded in 2002 to support academic research related to the concept of (tele)presence. ISPR has sponsored 14 successful international conferences (beginning informally in 1998), providing richly social opportunities to share scholarship and application of the presence concept. The ISPR website (http://ispr.info) serves as a resource for those who conduct research, develop theory, design, market, write about, or simply are interested in, the concept and phenomena of presence. ISPR Presence News, available via the ISPR website, provides current news stories, calls for papers and participation, position announcements, and other informative posts every weekday (a total of nearly 3000 posts since 2009).